These days, a superhero movie can’t just be a standalone adventure, it has to be part of a larger universe that spans multiple movies. But in order to guarantee people will want to see all of those multiple movies, the filmmakers must pepper each one with teases for future plot points. Batman Begins ends with a wink to the Joker, foreshadowing his appearance in The Dark Knight. The Avengers ends with the reveal that big purple alien Thanos has been behind Loki’s scheme, setting him up as future villain. Lately, Zack Snyder has been putting every character he can find in Man Of Steel 2: Oops, All Superheroes, so he doesn’t have to do as much heavy lifting establishing them in his Justice League movie. The latest to join this trend is Lincoln’s Tim Blake Nelson, who—according to The Hollywood Reporter—has just been hired to play scientist Harvey Elder in director Josh Trank’s Fantastic Four reboot. Elder is more commonly known as The Mole Man, a villain of The Fantastic Four that dates all the way back to the ’60s. In the comics, he’s a short, cranky man who gets shunned from mankind for being short and cranky. He then goes on to live underground, where he becomes the leader of a race of creatures called Moloids. 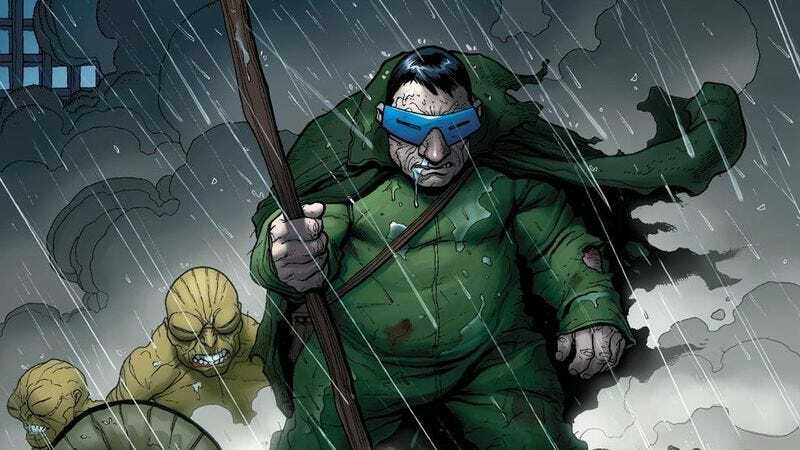 But wait—before you get too excited about the crazy direction this “gritty and realistic” Fantastic Four movie is taking, THR also says Nelson won’t appear in the movie as Mole Man. He’s just there to set up future appearances from the character people would actually like to see. Interestingly, this isn’t the first time Nelson has filled this exact role in a Marvel movie. In 2008’s The Incredible Hulk—also a reboot—he played Dr. Samuel Sterns, better known as big-headed villain The Leader. And though he gets mutated by some Hulk blood (or whatever) at the end of the movie, he doesn’t actually become The Leader, as presumably they wanted to save that for a sequel that never came. But hopefully things pan out better this time around.